Earlier this afternoon, Sony held a "Playstation Meeting" in Tokyo for the gaming press. To summarize, they announced a new, unnamed, portable gaming device (code-named Next Generation Portable, or NGP for short). This thing is one heck of a technological showpiece. Looks like Sony is taking the everything-but-the-kitchen-sink approach when designing this handheld, with the "kitchen sink" being a 3D display. Seriously, this thing has enough sensors to be more accurate than the original Wii remote, ALL the network/wireless capabilities of a modern smart phone (except making calls), cameras facing both directions (Skype anyone? ), a 5-inch 960 x 544 pixel OLED touchscreen AND a full 5-inch touch panel on the back. In terms of processing power, this thing is an absolute beast! When the PSP was first released in 2005, it had a 333MHz processor (under clocked to about 200MHz). At that time, smart phones were at about 200MHz, though the PSP also had the advantage of having a more specialized chip. Now? Smart phones are typically at the 1GHz single core mark, with 1.2GHz dual core processors making their way to phones probably late this year. 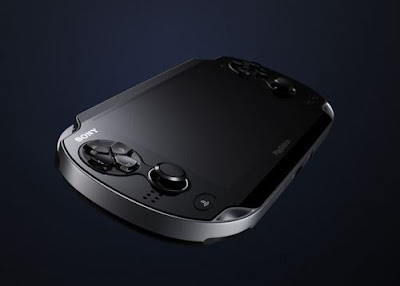 The PSP2/NGP? It will have 4 cores, with clock speed possibilities ranging from 800MHz to 2GHz. Graphics? It will do AT LEAST 133M poly/s, with fill rates of 4G pixels/s @ 200MHz with 4 cores. I say at least because the SGX543MP4+'s specs are not available, so I took the specs of SGX543MP4 as the base. For comparison sake, the iPhone 4's (admittedly high-end) graphics can do 28M polys/s, 500M pixels/s @ 200MHz with 1 core. Now, the devil on my shoulder is telling me that this device will probably be released late, at a US$399 price tag, a 2 to 4 hour battery life span, and overheating issues. It's quite hard to convince me otherwise when the CPU and GPU will be squeezing a lot of juice, in addition to the various connectivity options. For a GPS and 3G enabled game, it will probably last 2 hours at most. Even the engineers at Nintendo can't make the 3DS (graphics processor about 4 to 8 times... slower) last more than 5 hours on a single charge. Despite the high ends specs and... well, more high end specs, Sony still needs to tell us the battery life and price tag (hopefully below US$300?) before it can convince me.